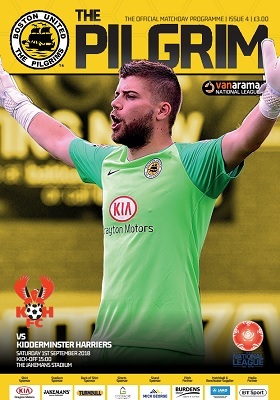 Boston United’s award-winning matchday programme is readily available to purchase on matchdays. The 52-page, full colour, matt covered programme is available at all home fixtures priced £3. Featuring all the latest news, views, features and photography from life at The Jakemans Stadium, the programme is a must read for anybody of an amber and black persuasion.